Stan Lee Dies At 95. Tributes Pour In For "Leader Of Superhero Universe"
Stan Lee, the Marvel Comic legend, gave the world superheroes like Iron Man, Spider-Man, X-Men, the Fantastic Four, the Avengers and the Hulk. Heartfelt tributes poured for him on social media after his death. Stan Lee was the creative force behind the rise of Marvel Comics. Stan Lee, the legendary writer, editor and publisher of Marvel Comics, died on November 12, Monday. He was 95. Stan Lee was the creative force behind the rise of Marvel Comics and co-created iconic fictional characters like Spider-Man, X-Men, the Fantastic Four, the Avengers, the Hulk and many more. All these superheroes have been adapted into blockbuster films, most of which were made after Disney acquired Marvel in a 4-billion-dollar deal in 2009. Stan Lee began his career at what was then Timely Comics in 1939. Over the years he was a writer, editor and occasional illustrator. Stan Lee had suffered major medical issues over the last year. He is survived by his daughter. His wife, Joan, died in 2017. Comic book companies, writers, artists, actors, directors, and fans shared their memories of Stan Lee and paid hearty tributes to the legend. Robert Downey Jr, the actor who played Iron Man, wrote on Instagram, "I owe it all to you,,, Rest In Peace Stan... #MCU #Excelsior #legend #rip#stanlee #TeamStark"
Hugh Jackman, the actor who played Wolverine, paid tribute in a post on Twitter. "We've lost a creative genius. Stan Lee was a pioneering force in the superhero universe. I'm proud to have been a small part of his legacy and... to have helped bring one of his characters to life. #StanLee #Wolverine"
"Thank you Stan Lee for making people who feel different realize they are special," wrote actor Seth Rogen. Benedict Cumberbatch, who joined the Marvel Cinematic Universe as the titular "Doctor Strange" said: "Stan Lee's imagination has held generations in its thrall. He was a kind, generous and funny man and it was an honour to meet him. My love and thoughts to his family." Chris Evans, the actor who played Captain America, wrote, ""There will never be another Stan Lee. For decades he provided both young and old with adventure, escape, comfort, confidence, inspiration, strength, friendship and joy. He exuded love and kindness and will leave an indelible mark on so, so, so many lives. Excelsior!!" Tom Holland, the actor who played Spider-Man called him the "father of Marvel". "How many millions of us are indebted to this guy, none more so than me. The father of Marvel has made so many people so incredibly happy. What a life and what a thing to have achieved. Rest in peace Stan," he wrote. Fellow cartoonist Frank Miller called him a "sweet man." In his tribute to his friend, he wrote, "Devastated by my pal Stan's passing. He was a childhood inspiration, an instructor to me when I was just getting started and a genuinely sweet man. Will miss him terribly." Bob Iger, chairman and CEO of the Walt Disney Company said Stan Lee was "extraordinary". "Stan Lee was as extraordinary as the characters he created. 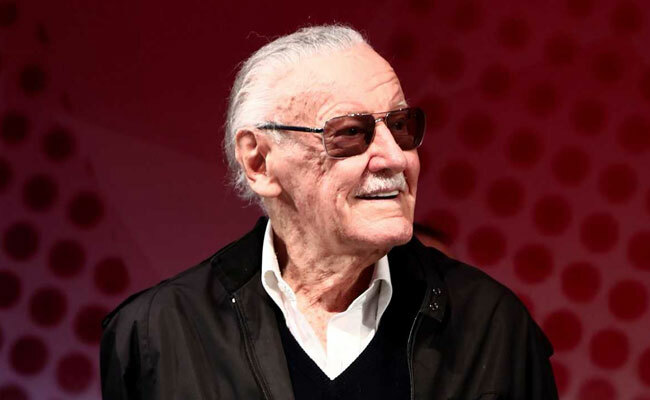 A super hero in his own right to Marvel fans around the world, Stan had the power to inspire, to entertain, and to connect," he said. He was born in New York City as Stanley Martin Lieber on December 28, 1922 and came by his pen name as a teenager. He claimed he changed his name because he wanted to preserve his real name to write a real book.